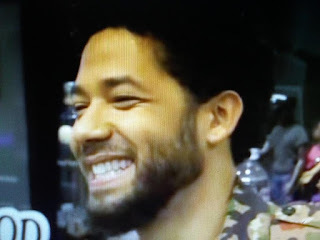 Why did Jussie Smollett tell Chicago police one thing and TMZ another? As I wrote this morning, I had my doubts with the details of this story because it sounded farfetched from the beginning. Thus far the mainstream media was quick to go with the narrative that Smollett attacked by two men a nose tied around his neck and bleach thrown on him. Like New York and other major cities Chicago has cameras EVERYWHERE. It won't be much longer to find out if this story is legitimate or a hoax. Fox News reports Chicago police detectives have located a surveillance camera which shows "potential persons of interest wanted for questioning in reference" to the alleged attack on "Empire" actor Jussie Smollett, Chicago Police's Chief Communications Officer, Anthony Guglielmi, confirmed on Wednesday. "A community alert w/ photos is being constructed and will be disseminated shortly," he added.